If so, then now is the time to sort out the details. Sometimes, homeowners convince themselves that an old AC still has a year of quality performance left in it. Other times, they simply forget about the issues that they were having with their AC last cooling season, only to remember when faced with even more problems during the current season. We strongly recommend you avoid both of these scenarios. It’s always best to plan ahead when it comes to an air conditioning replacement. Of course, we understand that you do not want to replace your air conditioner prematurely. If you do that, you are just wasting the money you invested in that system at the time of purchase. It may seem like a tough line to walk, but we have some tips for you that should help you to do so successfully. So be sure to keep the following in mind, and leave your air conditioning replacement in Cherry Hill, NJ to us. You do not have to replace your air conditioning system just because it’s getting older. Well-maintained air conditioners can often last longer than they were projected to according to expectations set by the manufacturer. It is not as though your AC is going to turn 13 and then just shut down for good. But while system age may not be the deciding factor when it comes to replacing your AC, it certainly is a deciding factor, particularly when taken into account with a few other points of interest. If your system is quite old and these next two situations are a concern, then replacement may well be the way to go. There are a few different reasons why you may be paying too much to heat your home. One is the aforementioned age of your system. 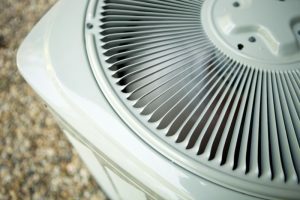 Over time, your air conditioner can and will run down in a few different ways. This can result in reduced energy efficiency. Of course, you may also have a system that never had a great efficiency rating, either because you bought it to save money upfront or because you inherited it with your home. In any case, low efficiency is one of those factors that means any time is the right time for replacement. Okay, so you’re not going to replace a system that you just bought last year, probably. However, spending the money now with an eye toward long-term energy savings makes a lot of sense. You need to schedule routine air conditioning maintenance. There is no better way to keep your system functioning at peak performance and efficiency levels. Even the most well-maintained air conditioning systems are not going to function properly at all times, however. Eventually, you’re going to need repairs. But if your system requires repairs more and more frequently, replacement may be the way to go–and yes, this is especially true if the system is old and probably doesn’t have many seasons left in it anyway. Contact us if you’re done sinking money into an unreliable air conditioner. Leave your AC services to Climate Mechanics LLC.